Sometimes, you need a break from shooting zombies or fleeing from axe-wielding trolls. These are the best non-violent games for when you just need to chill. Originally released in 2013, 'Gone Home' is a first-person video game about exploration. At least, that's 'Gone Home' on paper -- in reality, it's a genre-defying experience unlike anything else in video games. 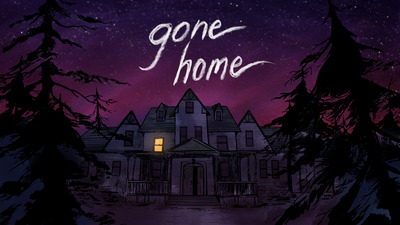 In 'Gone Home,' you play as Kaitlin, a young woman recently returned home from a trip to Europe. You're the only one home, and as you wander the house's various rooms, you'll find diary entries and see photographs that give you increasingly clear ideas about this family and their secrets. As our own Ben Gilbert put it, it's just 'infinite golf.' 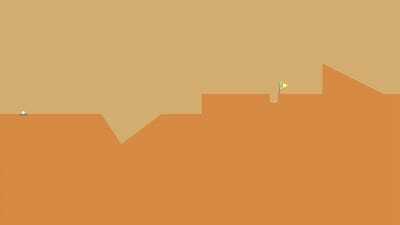 You flick your finger across the screen, sending a teeny white golf ball across a randomly generated stage. There's no losing. There's no scary trolls. Just some peaceful physics-based puzzles to take your mind off the cruel realities of the real world. 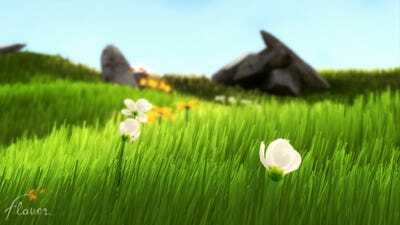 'Flower' isn't a traditional video game in any sense of the word. You press buttons and move around a little joystick, but it's more of a meditative experience than anything. An interactive poem, maybe. 'Flower' is one of those games that's hard to describe, but incredible to experience first hand. And it probably goes without saying that it's amazing to look at. 'Minecraft' is the digital equivalent of having some nice, quiet playtime with a pile of Lego. 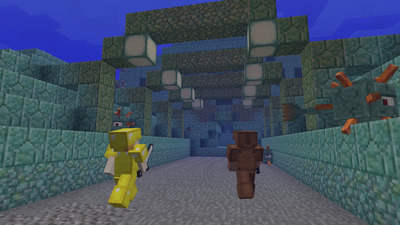 Aside from its basic survival mechanics, there's no way to really 'lose' in 'Minecraft.' You can die, sure, but it's not really that big of a deal. We're not saying you'll be the next 'Minecraft' mastermind, but there's always a chance. 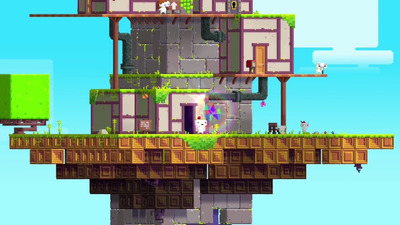 'Fez,' the independently-developed platformer, is the perfect game to throw in when you just need to chill out. That's because 'Fez' is much more about the act of exploring, finding secrets, and taking in the scenery within its massive world than it is about killing or racking up combos. Its lovingly crafted levels, combined with its retro aesthetic and stellar soundtrack, make 'Fez' an absolute delight to play. 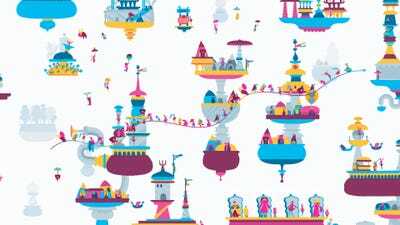 'Hohokum' is a whimsical and visually inventive sidescrolling puzzle game. What 'Hohokum' lacks in realism, it more than makes up for in innovation and sheer artistic brilliance. You play as a thin, flying, snake creature, exploring the world's many hidden secrets, and interacting with its goofy inhabitants. In 'Animal Crossing,' you play as the mayor of a quaint little town populated by anthropomorphic dogs, raccoons, anteaters, and all sorts of other cute little critters. 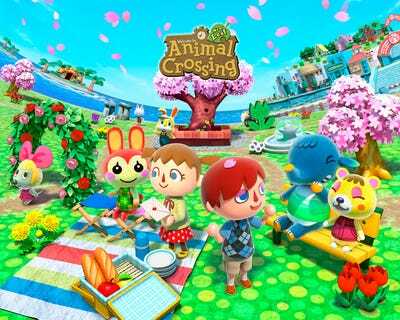 Don't think of 'Animal Crossing' like a video game in the traditional sense of the term. Instead, thinking of it as more of a nice place to visit when you need a break from the real world. This isn't to say that 'Animal Crossing' is boring. On the contrary, its quirky sense of humour and charming art style are weirdly captivating. Don't you miss the old days when you would plant your own corn, milk your own cows, and just live off the land? No? 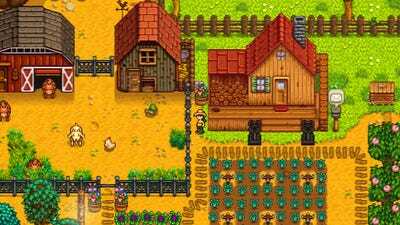 Well, 'Stardew Valley' will make you nostalgic for the good ol' days, even if you've never stepped foot on a farm in your life. You can do basically whatever you want in this unepectedly popular farming role-playing game. You can chop down some trees, explore a cave, make maple syrup, cook a meal, go on a date with another farmer, and pet a cat. The stakes are lower than low but it's just so dang charming. 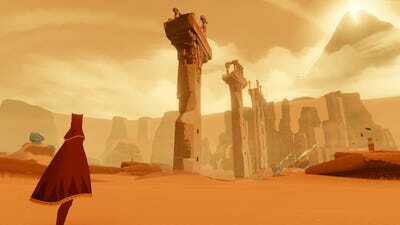 Essentially, it's an open-world puzzle game where you're the sole inhabitant of an otherwise abandoned island, exploring its eerily quiet buildings and beautiful landscapes. 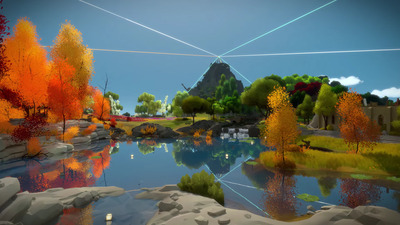 Every puzzle in the game is a sort of line-based maze puzzle, but the way 'The Witness' slowly introduces new rules for these puzzles over the course of the game makes it feel like you're learning a whole new language. Mobile games often get a bad rap for being downright obnoxious, and for good reason: All too often, they're packed with intrusive ads and overly-persistent Facebook integrations. One mobile game stands out from the pack as something truly marvellous: 'Lara Croft GO,' the challenging yet unusually relaxing puzzle game based on the 'Tomb Raider' series. 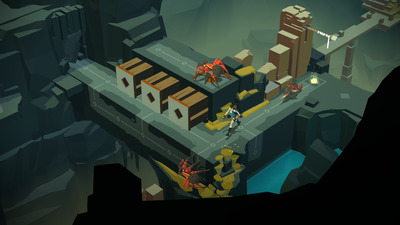 Think of 'Lara Croft GO' like a turn-based board game. As you move Lara across the game's tiled stages, your enemies will move, too. The beautiful art style and addictive gameplay make 'Lara Croft GO' the perfect choice for when you need to play something a bit more cerebral. 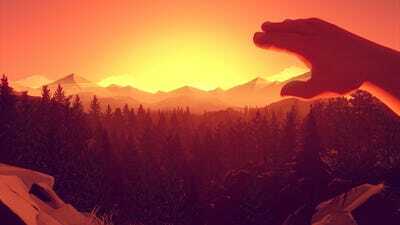 'Firewatch' is one of the best games of the year, partly because its art direction is breathtaking, but mostly because it tells an incredibly moving story in just a few short hours.